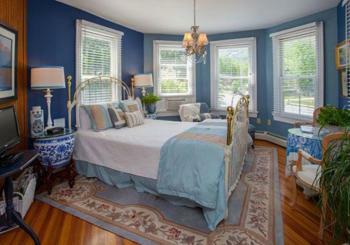 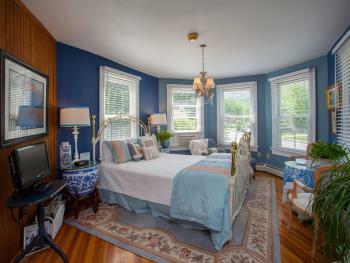 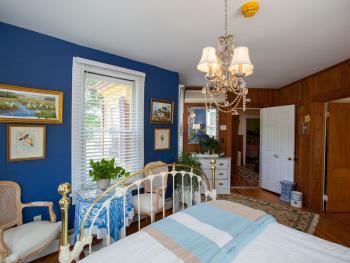 Bright and airy room in pale blues and creams, situated in the second story turret of the main house. 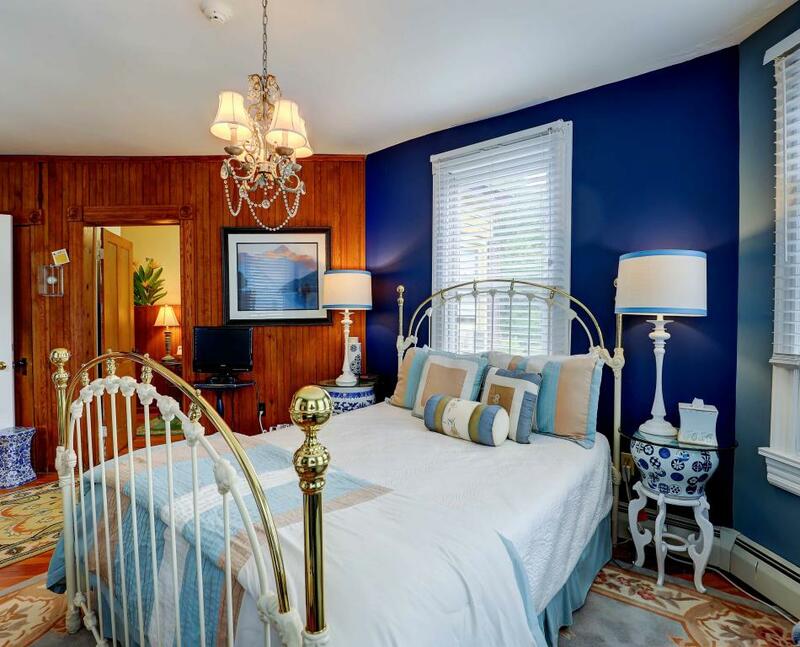 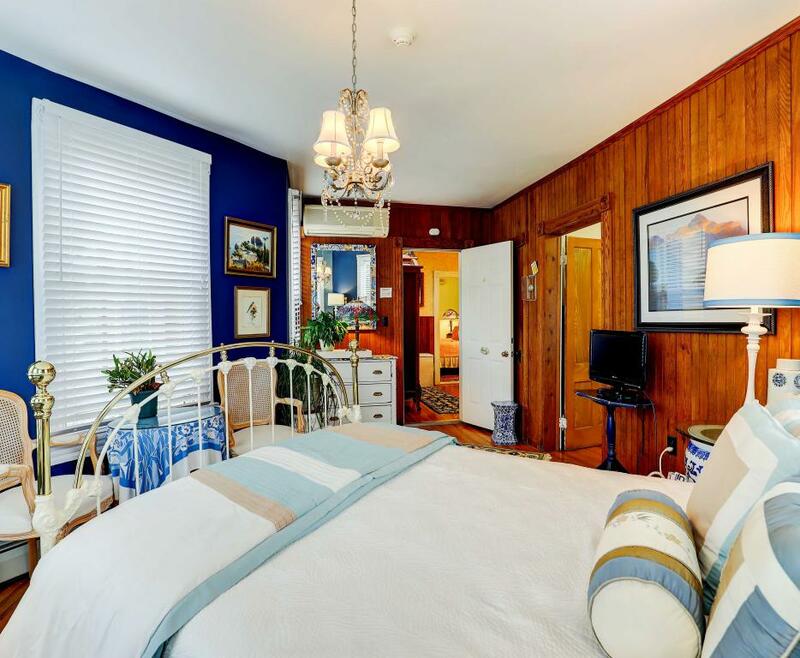 The brass and porcelain bed is surrounded by windows. 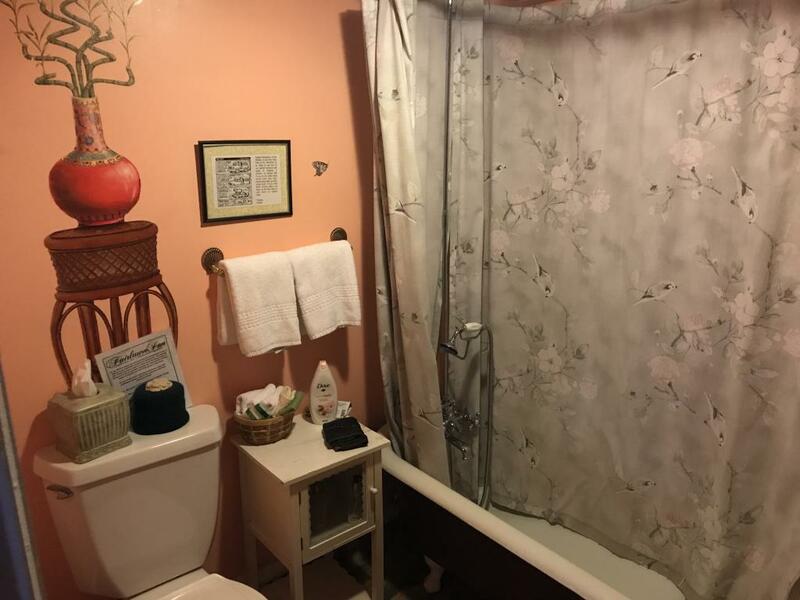 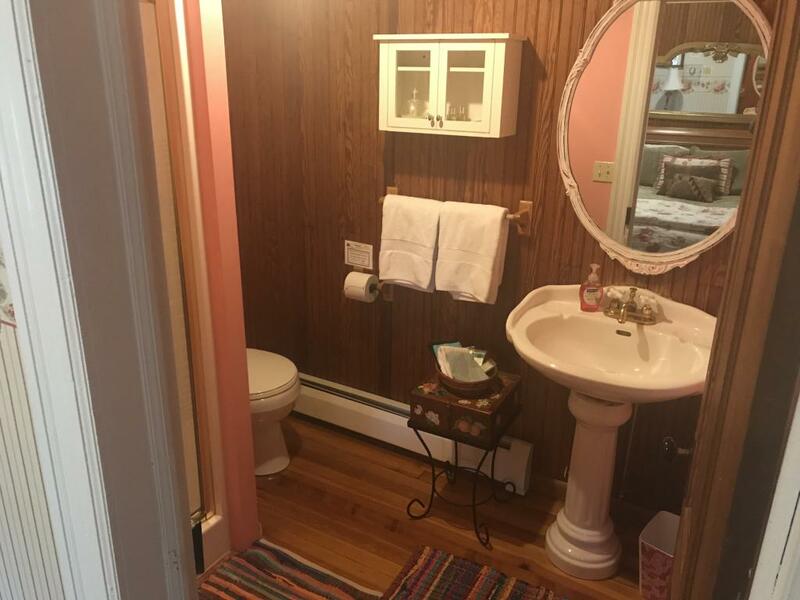 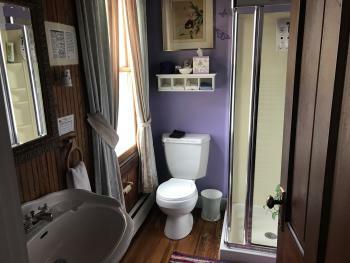 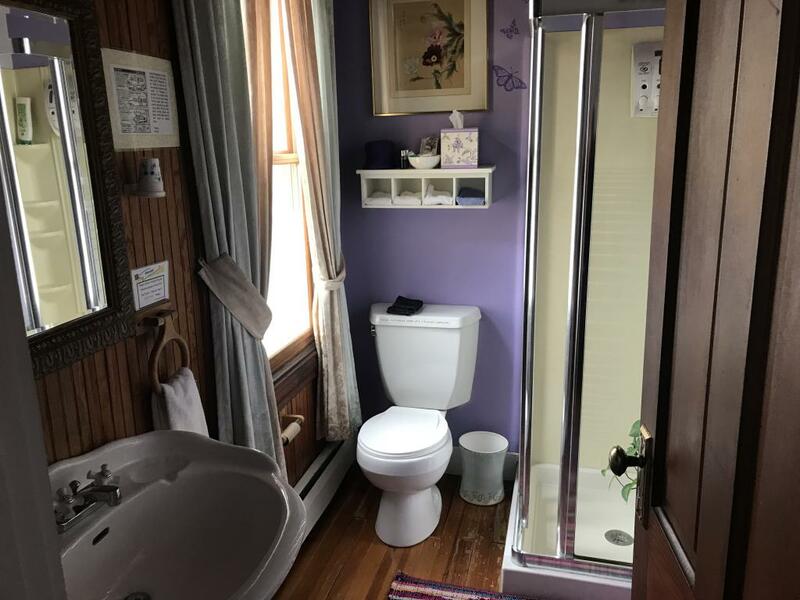 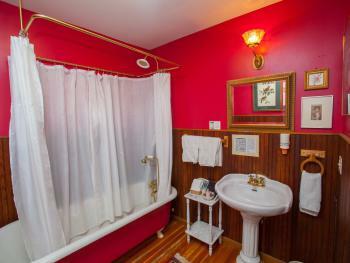 Large bath with claw foot tub and NEW faucet, updated shower and rinse handle. 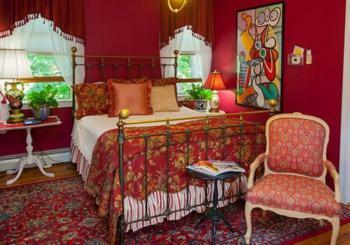 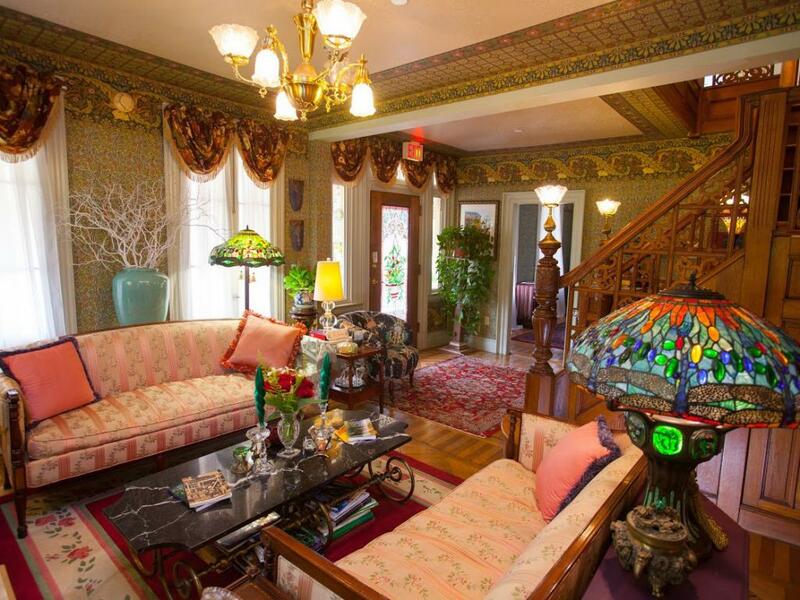 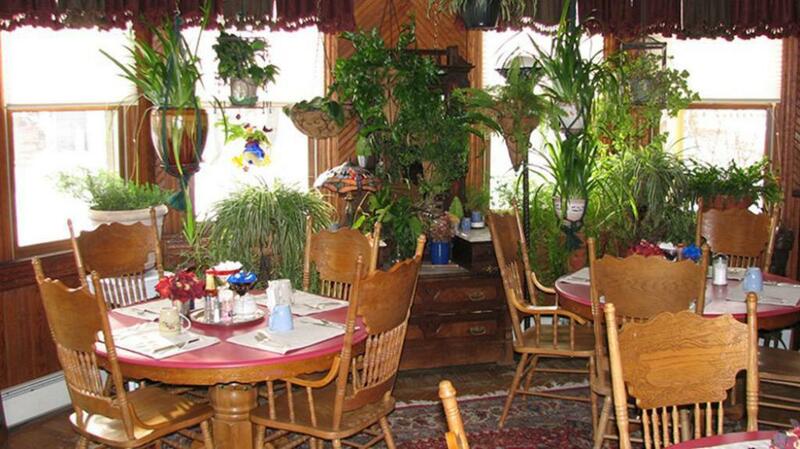 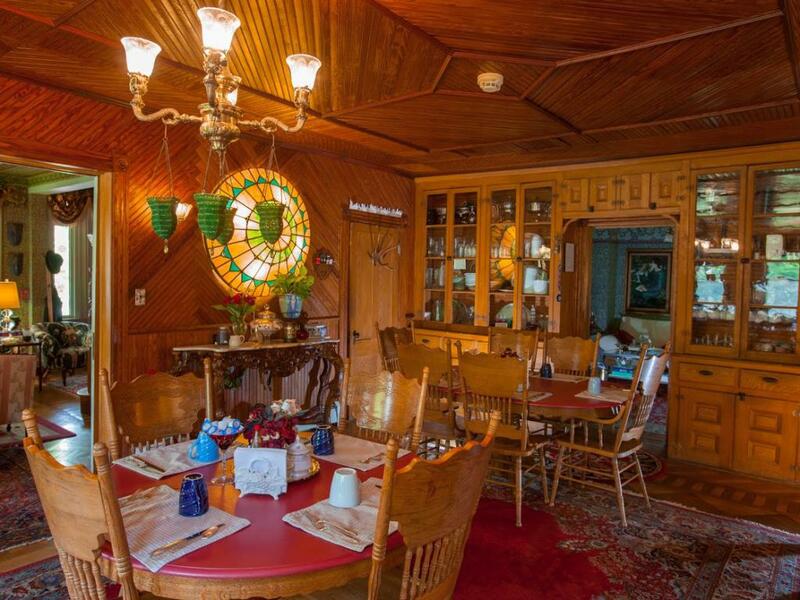 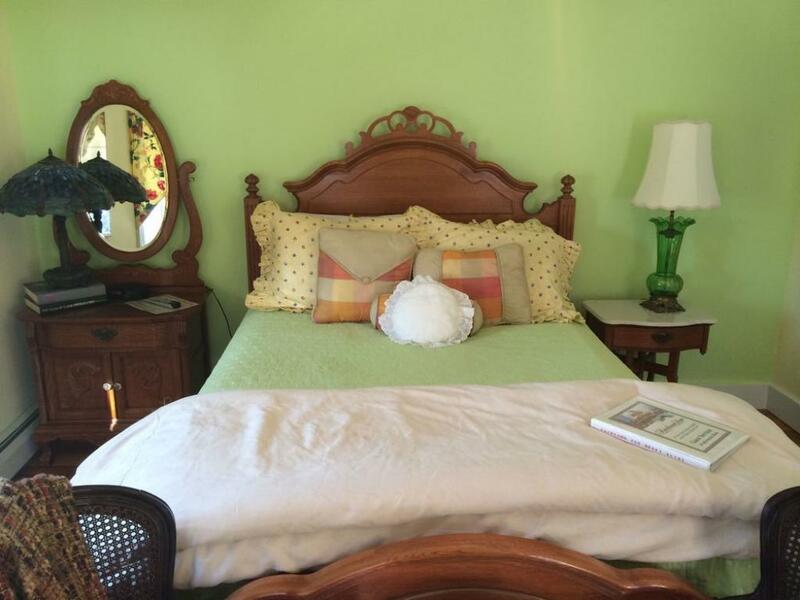 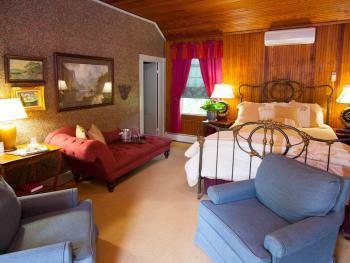 This room is on the Main Street and is the brightest sunfilled room in the inn. The views of Hunter Mountain are spectacular. The room has an arts and crafts style, a brass bed, small sitting area, seasonal fireplace (Dec,-March) and large marble bath with a jacuzzi and shower for two. 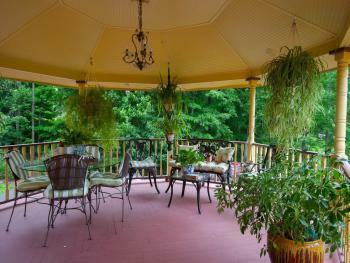 Private entrance off first story porch adjacent to the patio and gardens. 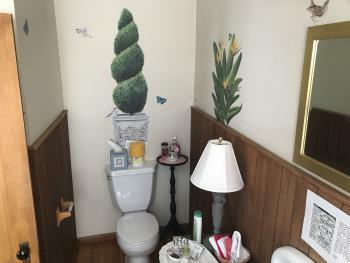 Closest to the parking lot. 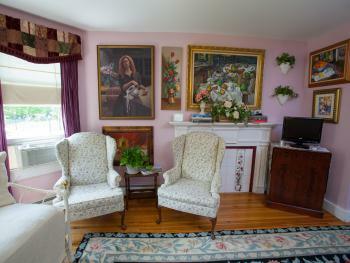 Larger TV with DVD player. 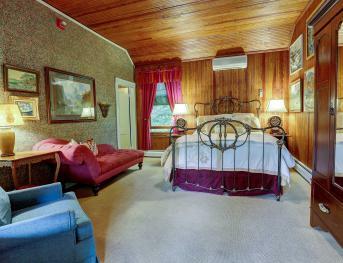 Bright sunny room with Southern exposure, views of Hunter Mountain, contains queen sized bed and seasonal fireplace (Dec.-March). This room has arguably the nicest and largest ensuite bath. 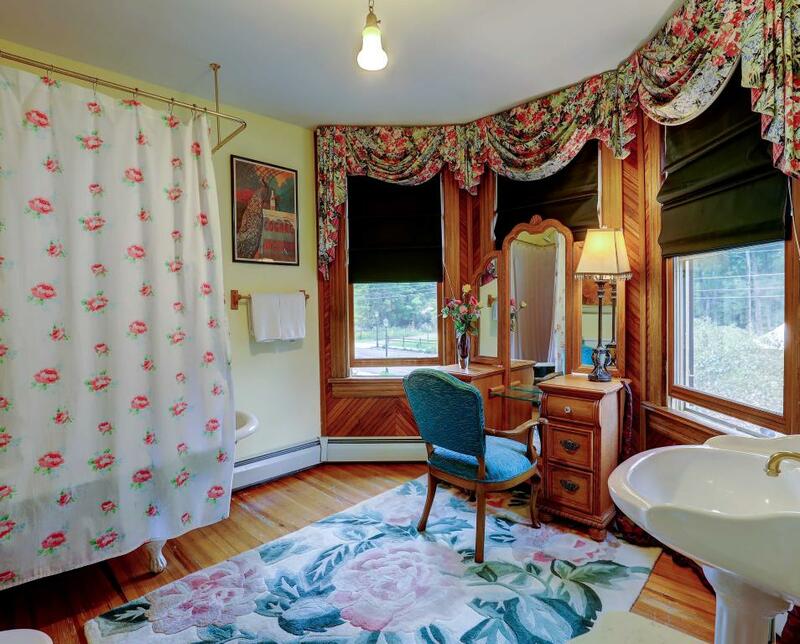 Six foot antique clawfoot tub with a vanity in the bathroom. 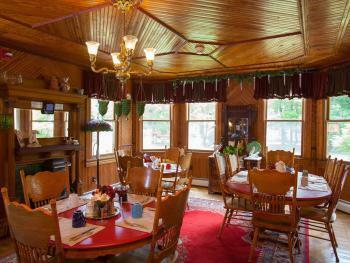 It has cable TV, & a/c on Second Floor. This room has the largest bath in the house. 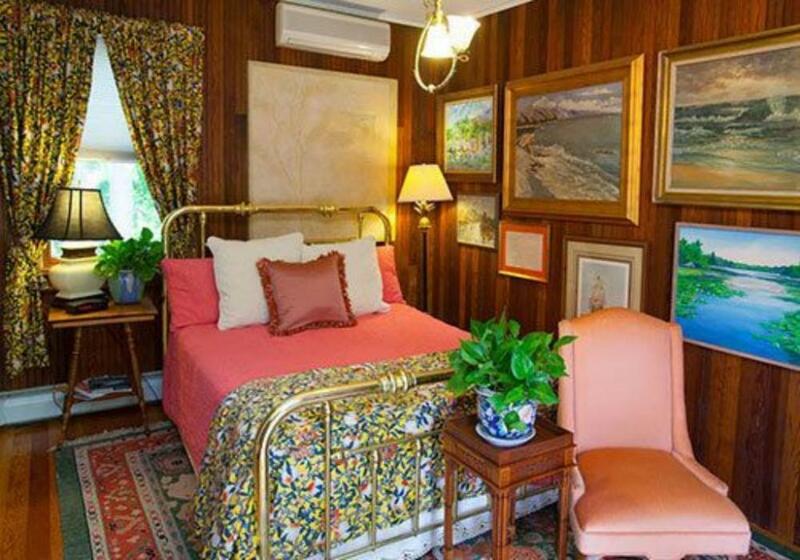 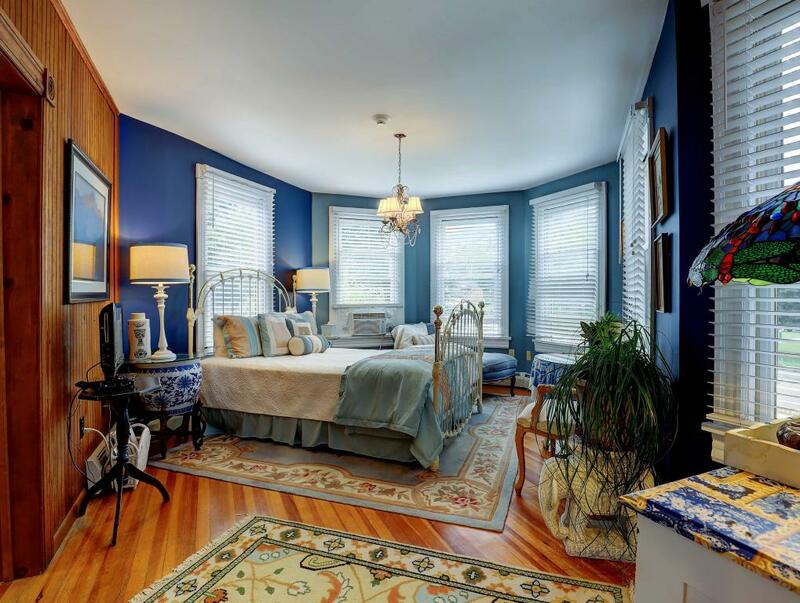 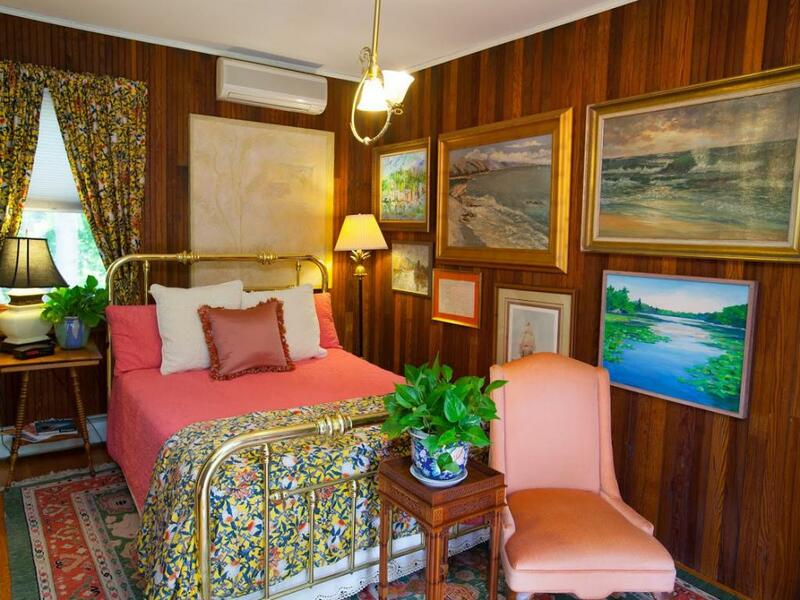 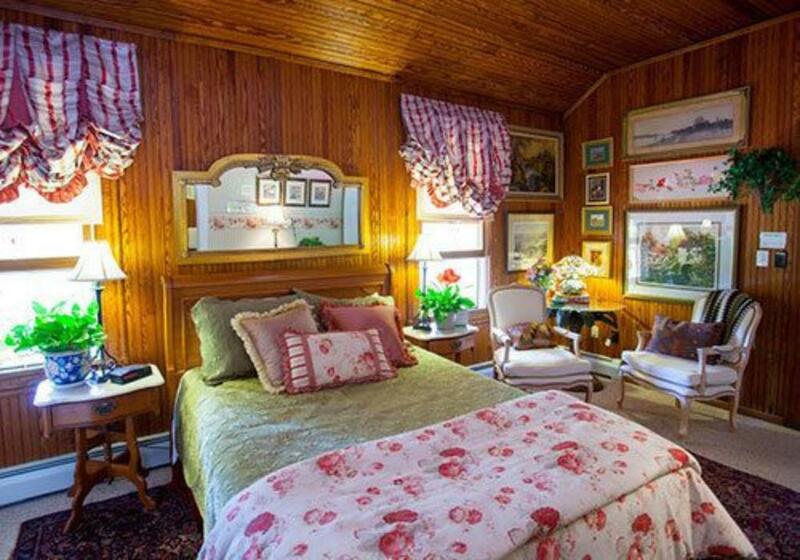 Cozy room with porcelain and brass trimmed bed. 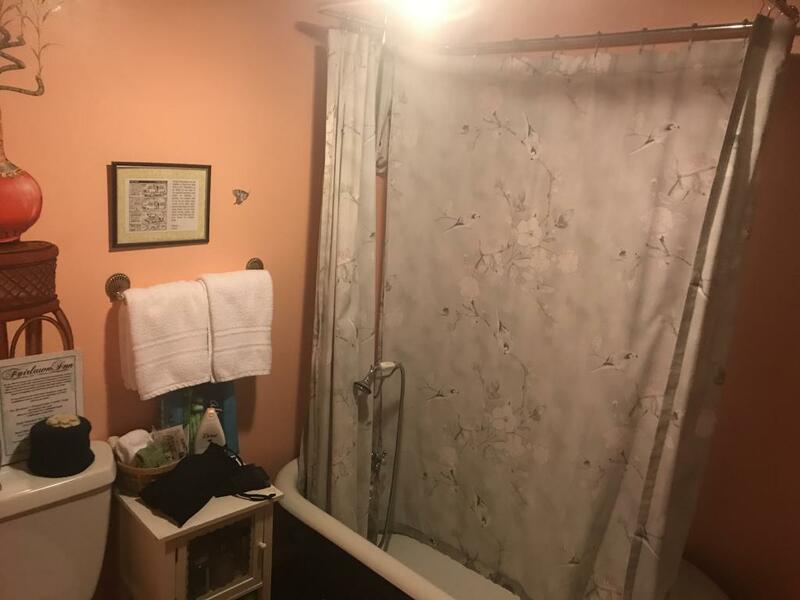 The bathroom has a shower no tub. 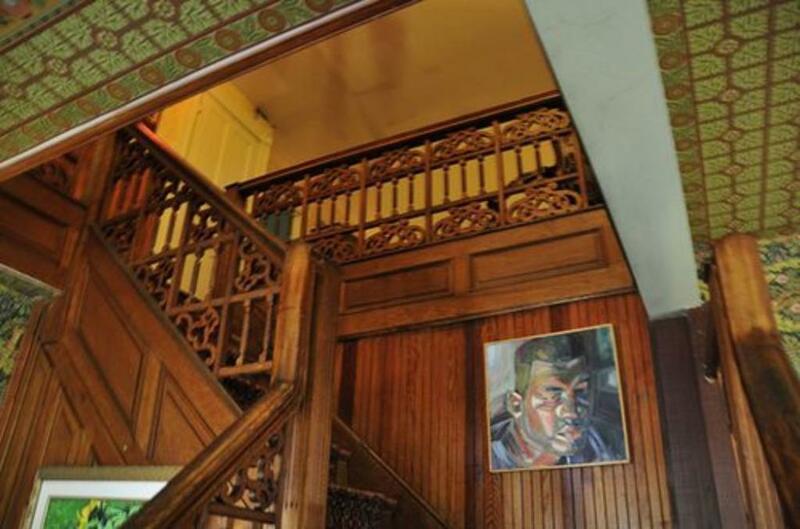 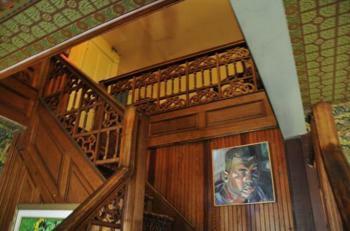 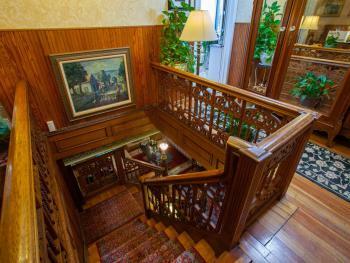 Located in the second story of main house at the top of the stairs. It also has cable TV, DVR and a/c. 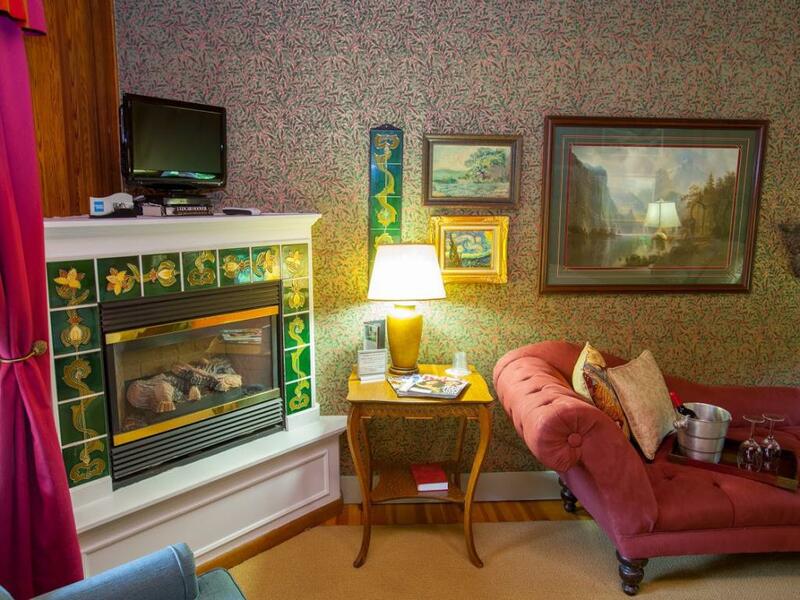 There is an electric fireplace provided seasonally. 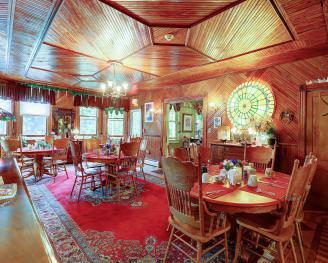 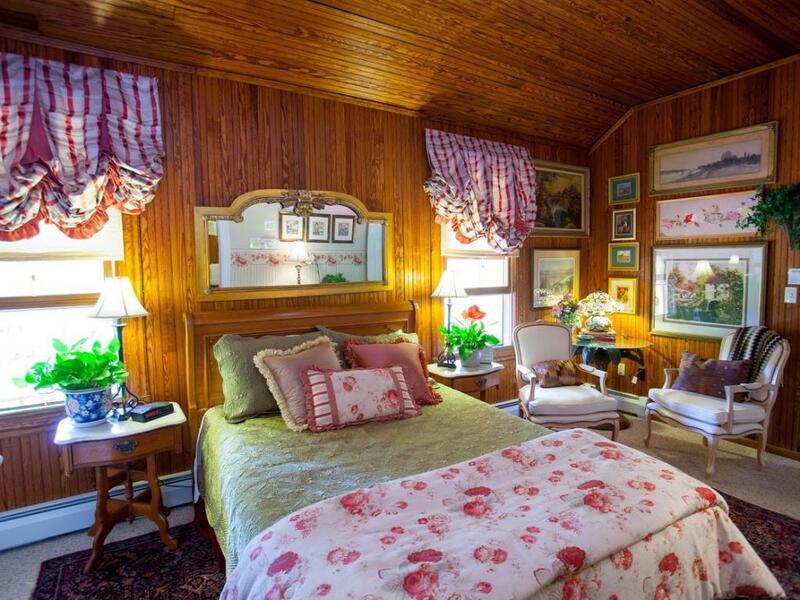 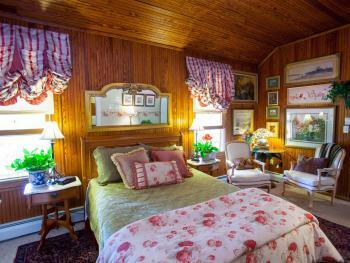 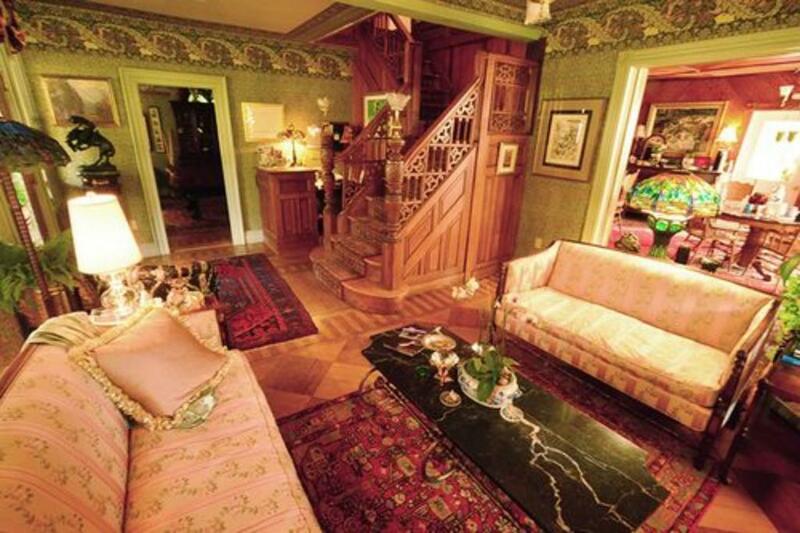 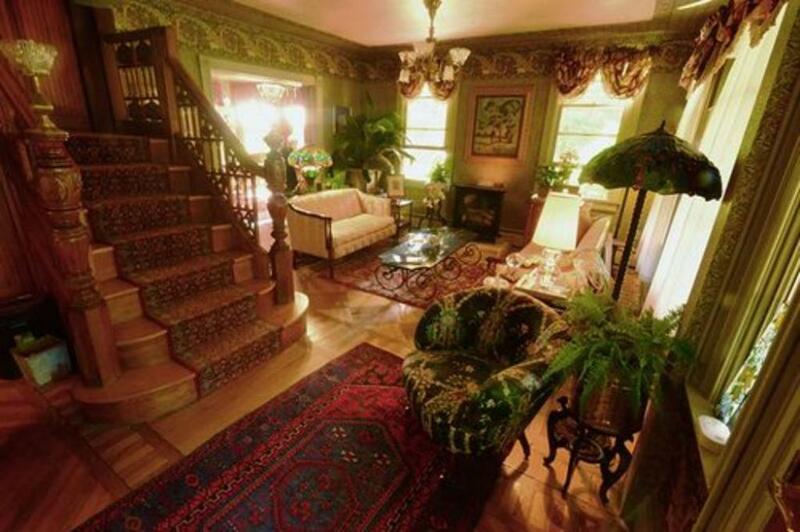 Wainscoted room with a cabbage rose theme, an oak wooden bed located in main house with access to the house and the second story porch. Cozy Bathroom with shower. This room has cable TV, and a/c. 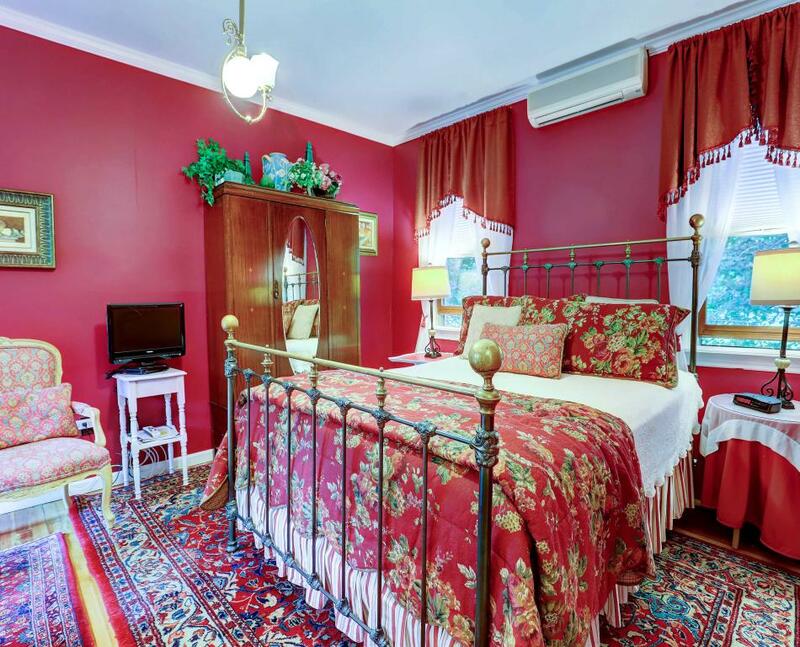 Comfortable and charming room with iron and brass bed and seasonal fireplace (Dec.-March). 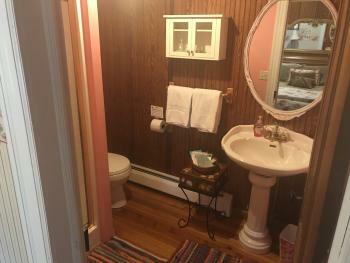 It also contains cable TV, telephone and a/c. 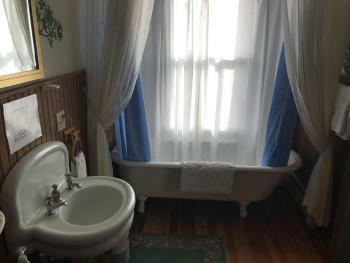 Marble Bath with shower and private entrance off first story porch. Closest to the first floor entrance and dining room. 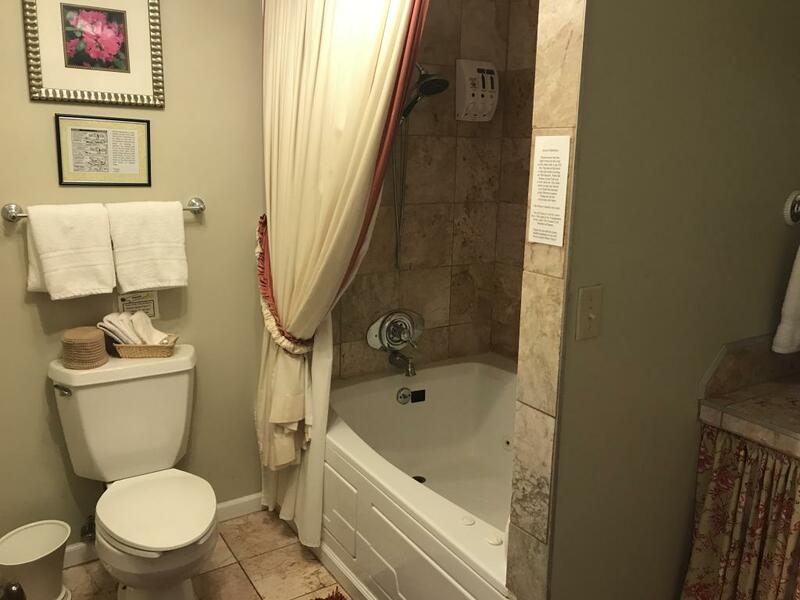 Most appropriate older guests with 4" step up into standing shower. 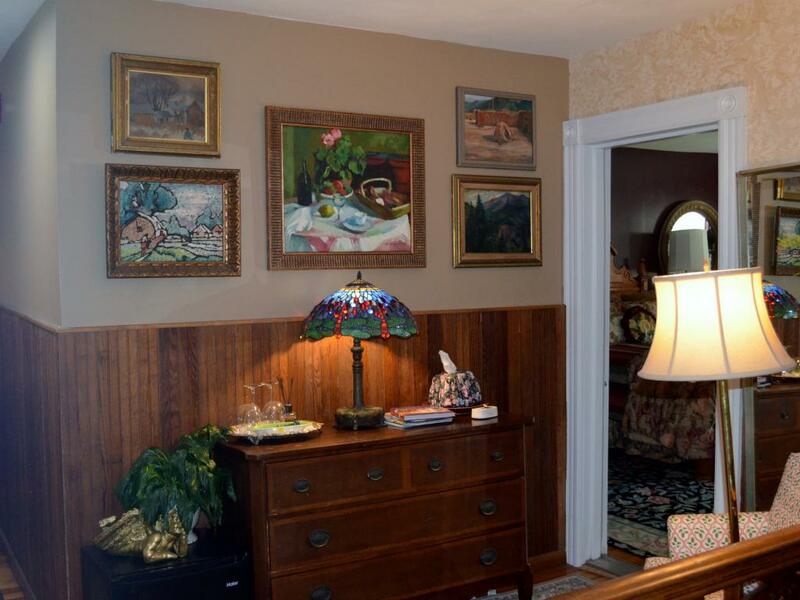 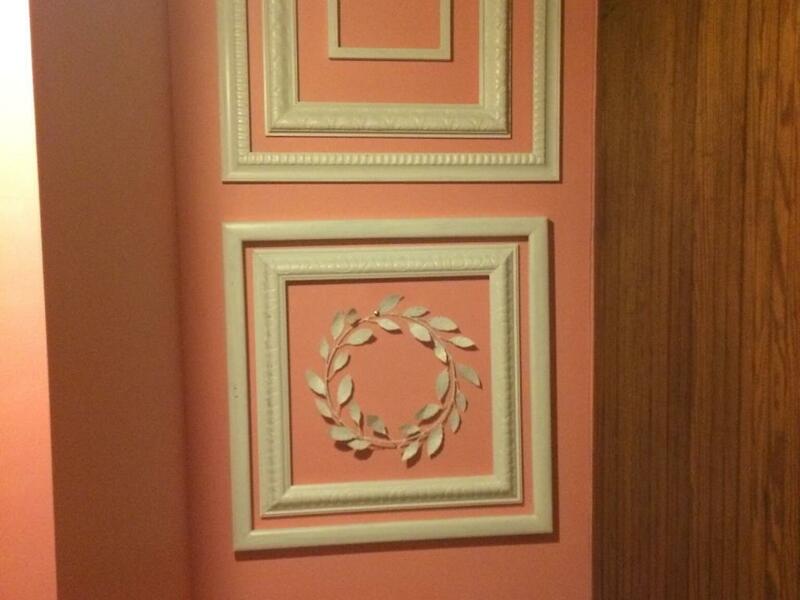 Wainscoted with period wallpapered room w/Queen bed and small sittings area. 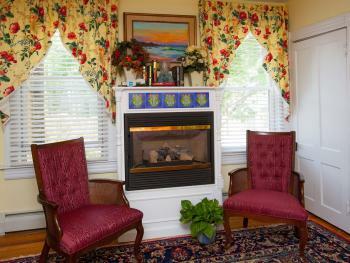 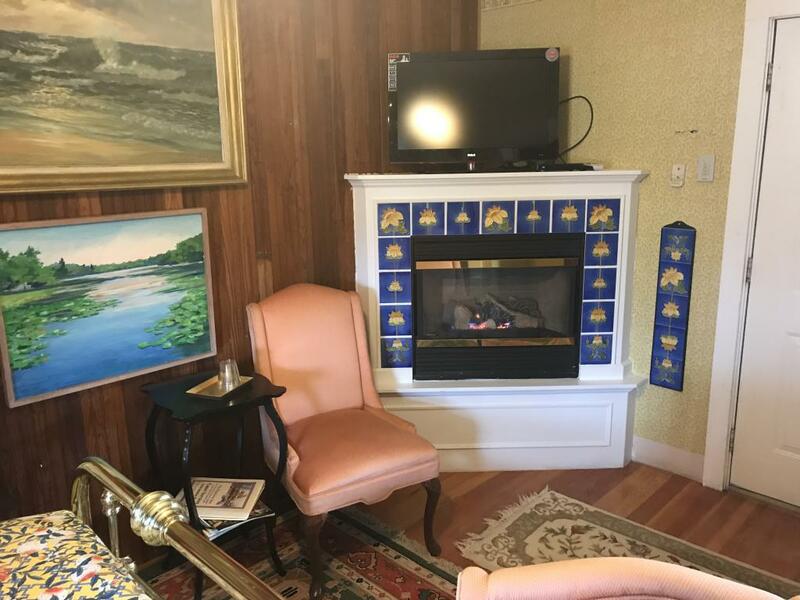 Queen sized bed and a antique tiled gas seasonal fireplace (dec.-March) Private entrance off second story porch. 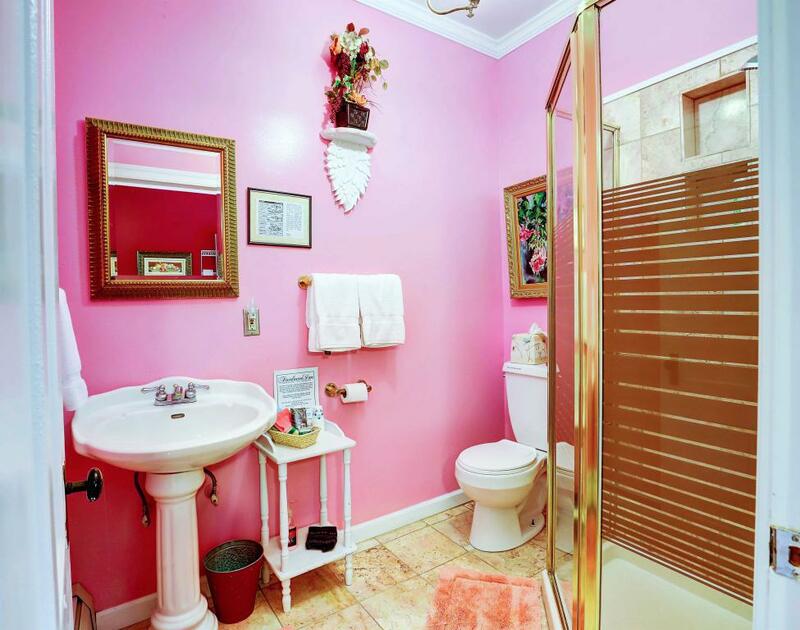 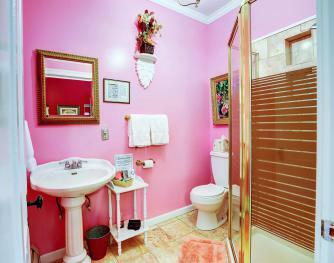 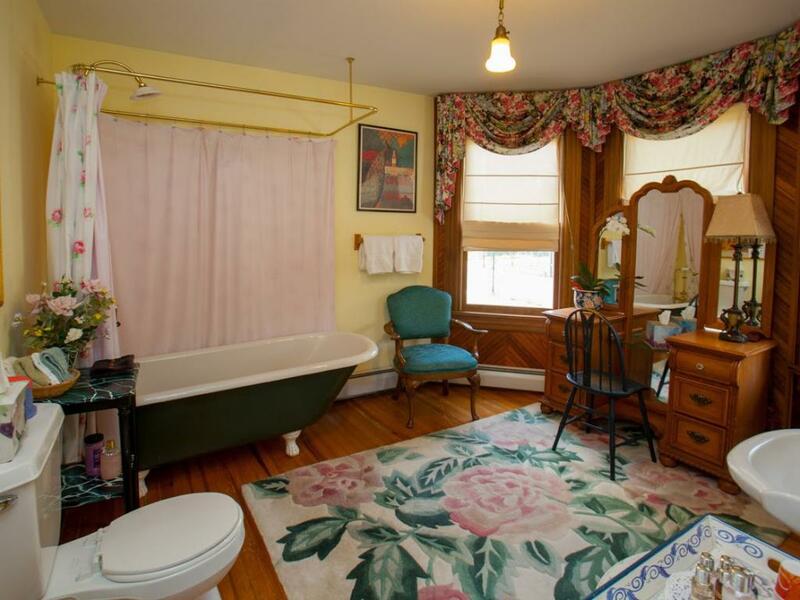 Bright bath with a five foot claw foot tub/shower. The room has cable tv DVD player an armoire and couch. 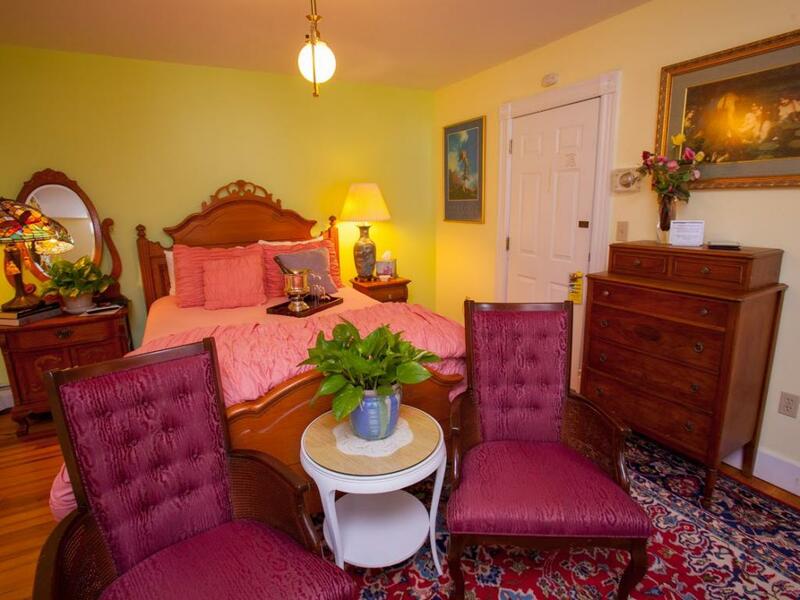 The former Master Bedroom of the house. 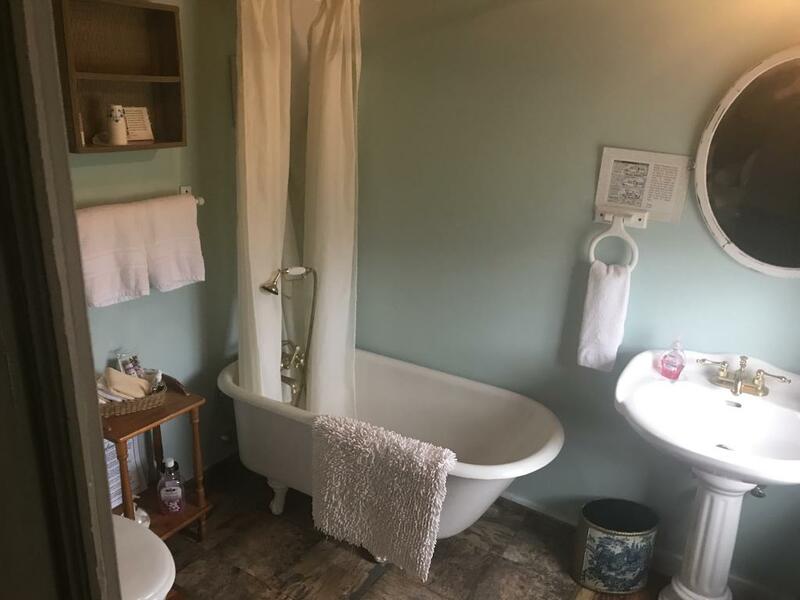 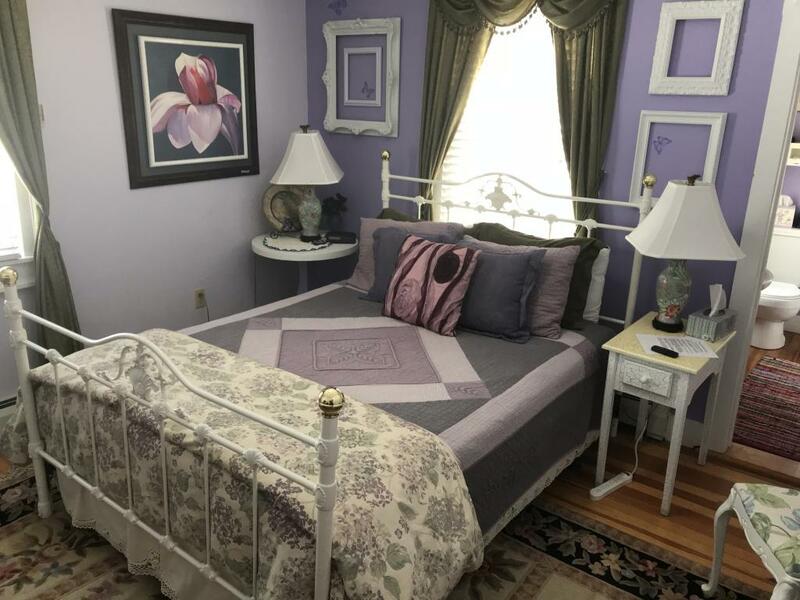 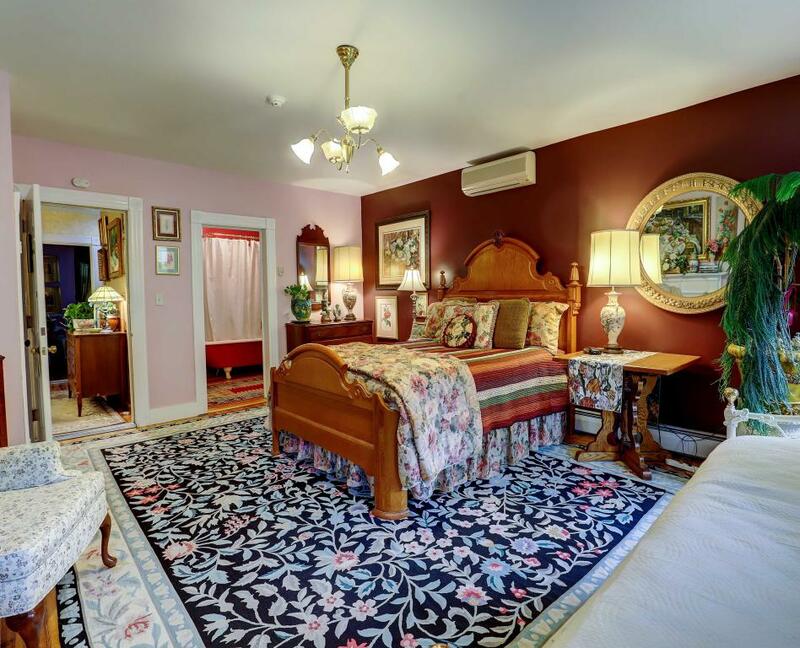 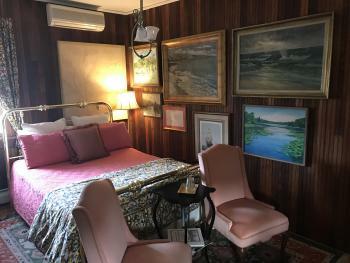 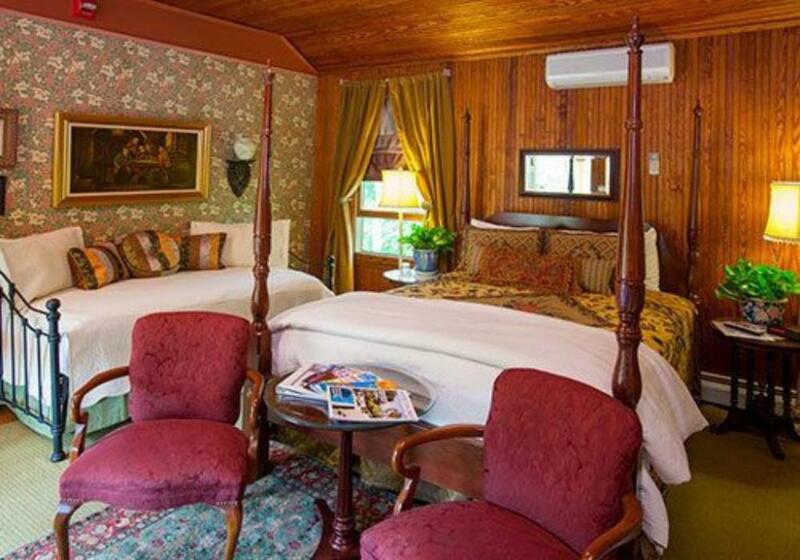 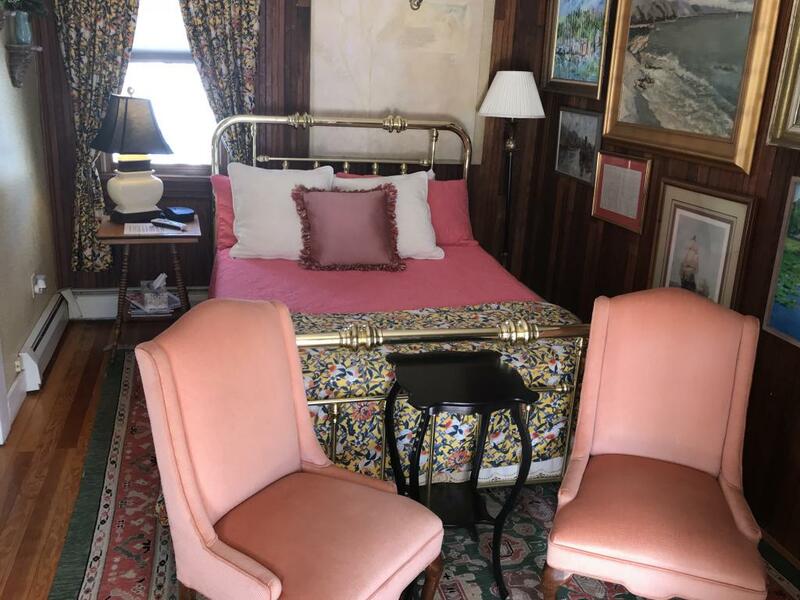 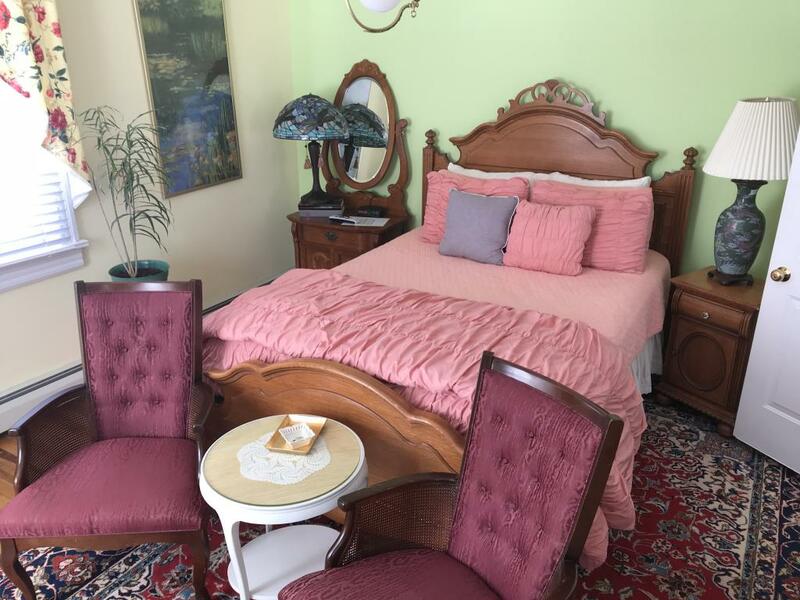 It is a Spacious bright room with a high wooden bed, non-working fireplace, daybed, and large claw foot tub with NEW updated shower and rinse handle. It has garden and mountain views and has been freshly painted and furnished. 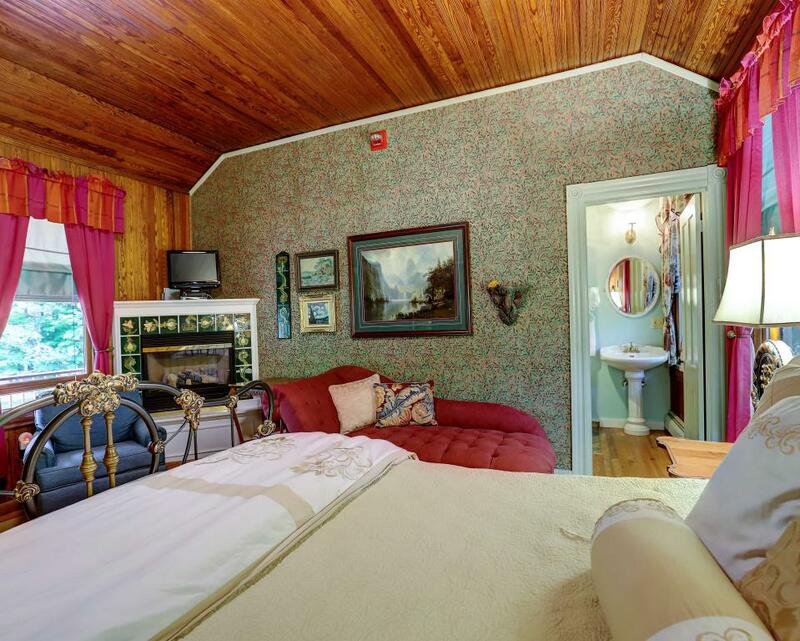 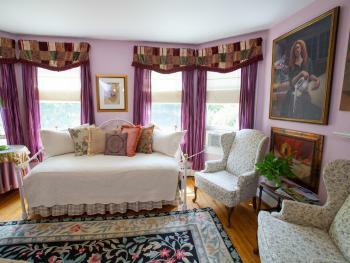 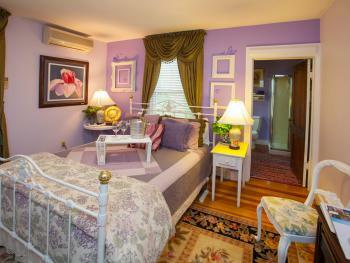 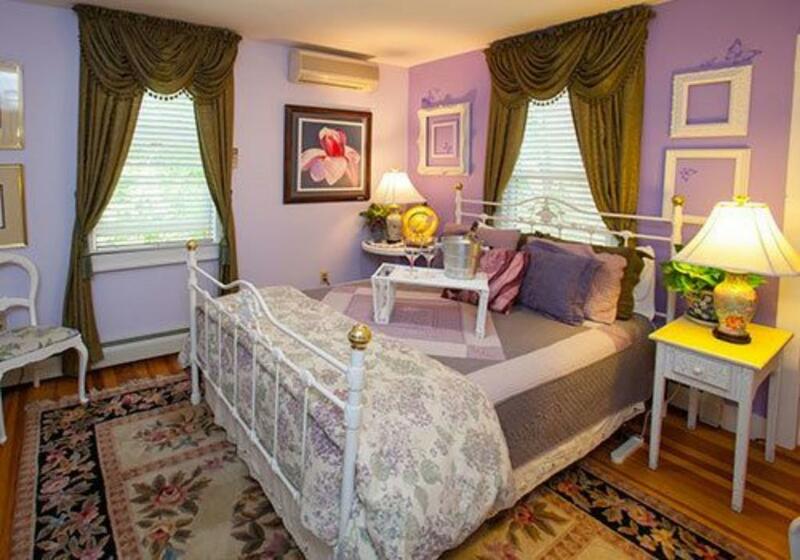 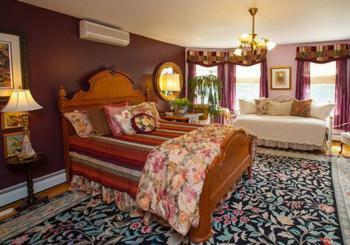 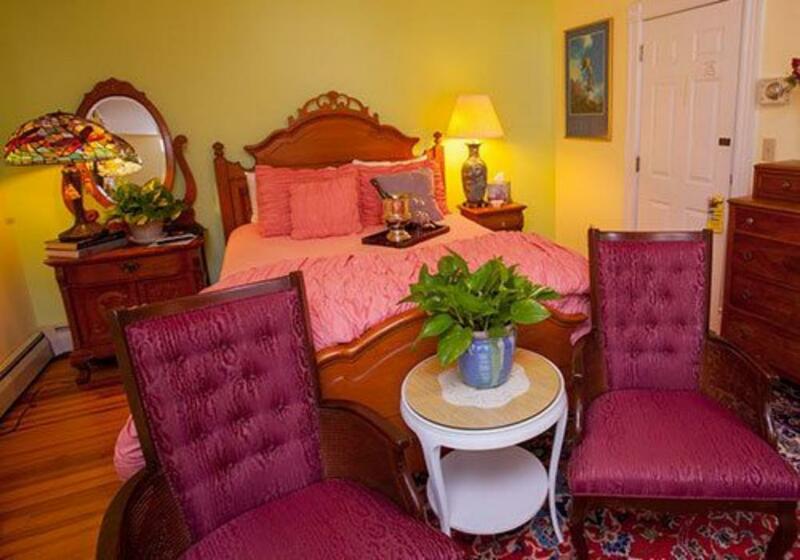 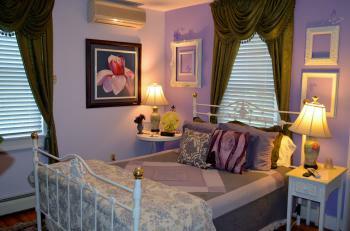 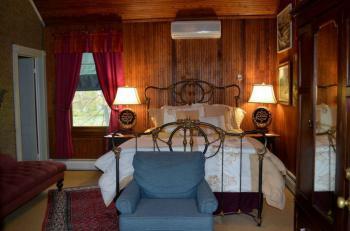 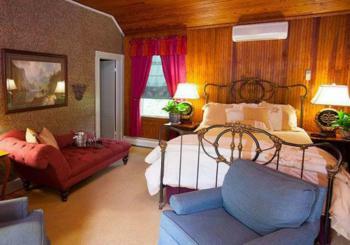 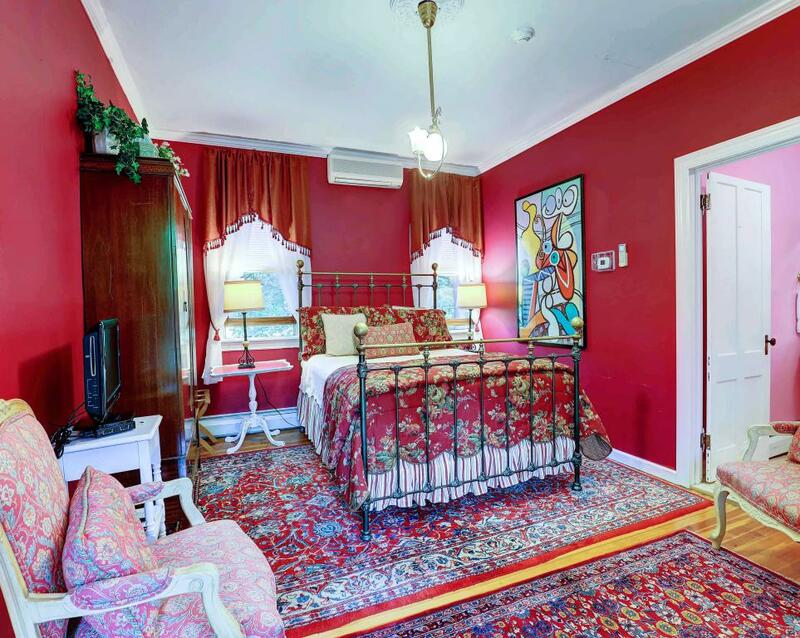 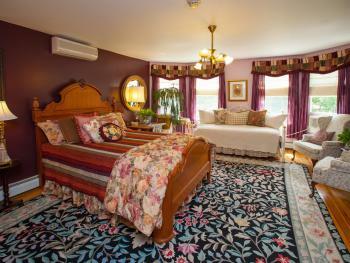 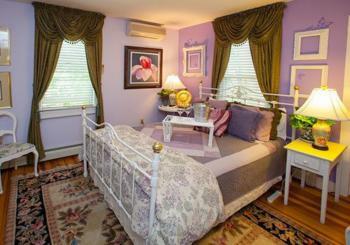 Romantic wainscoted room, a 4-poster bed, twin sized trundle also in room for an additional guest. 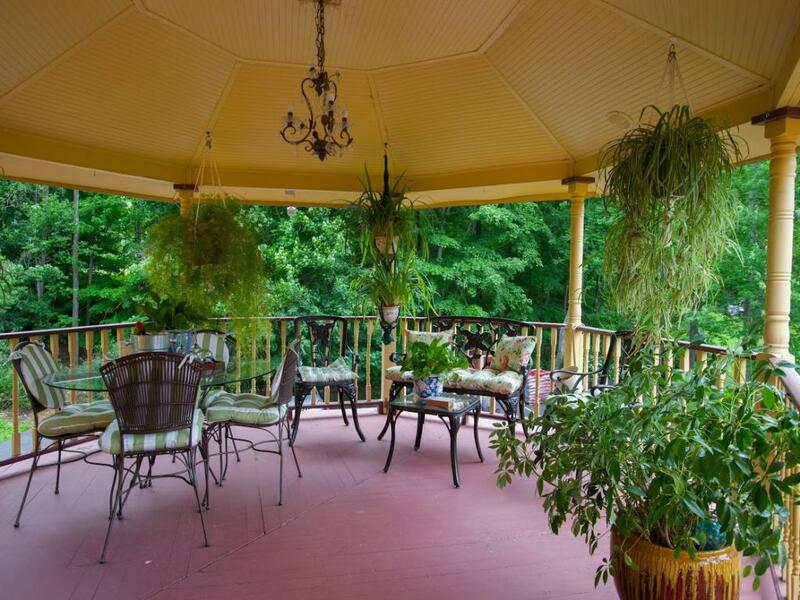 Located in the rear wing with private entrance off second story porch. Bath with an antique five foot tub & overhead shower. 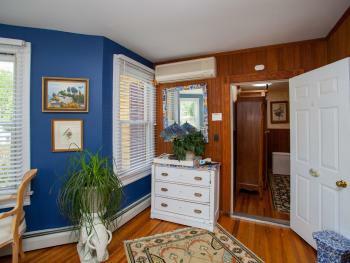 It contains cable TV a DVD player, and a/c. 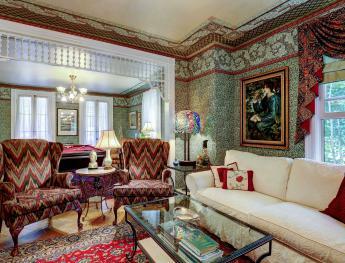 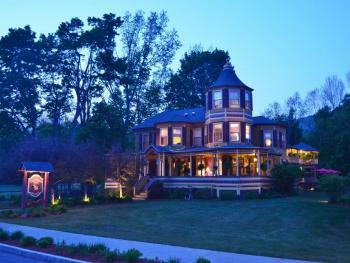 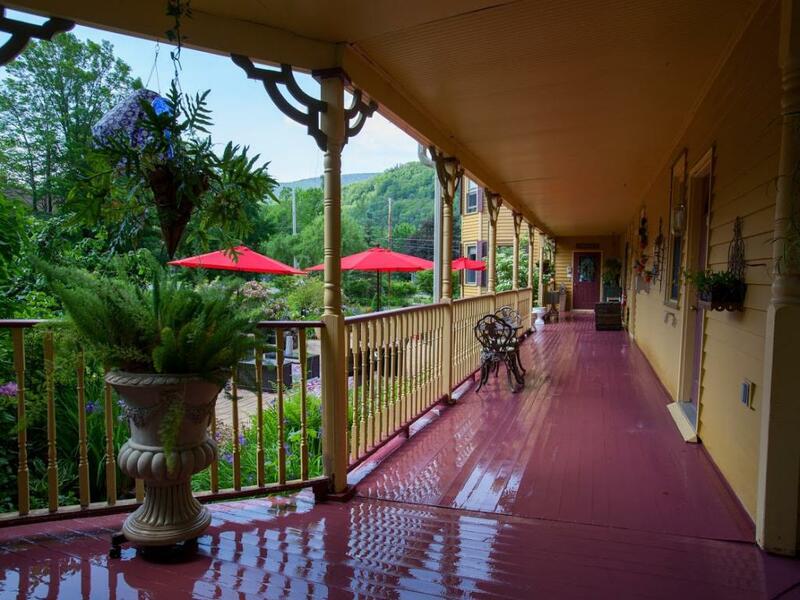 Highly rated, awarded and restored Queen Ann Victorian Inn. 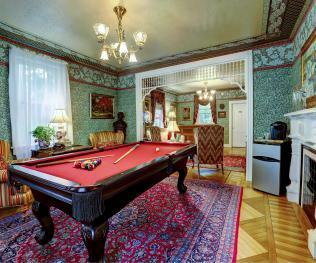 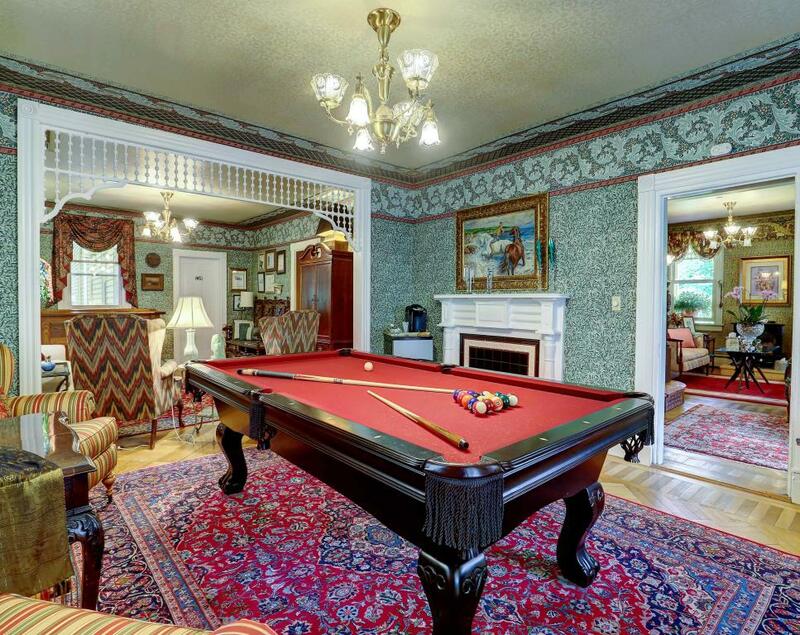 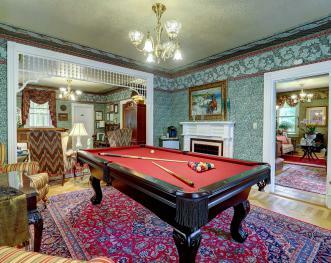 It has all the charm of an Historic Home but all the amenities of a modern facility. 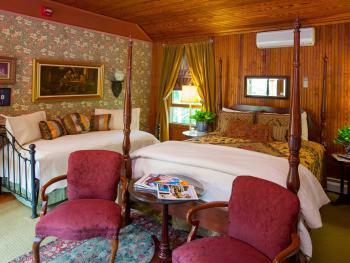 A cozy and nicely decorated environment with each room decorated individually. We are in the center of many options for your getaway. 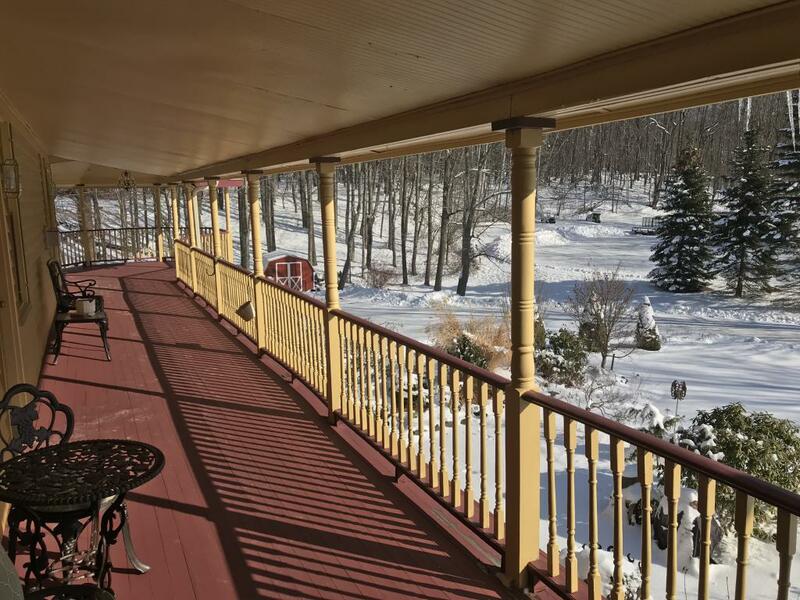 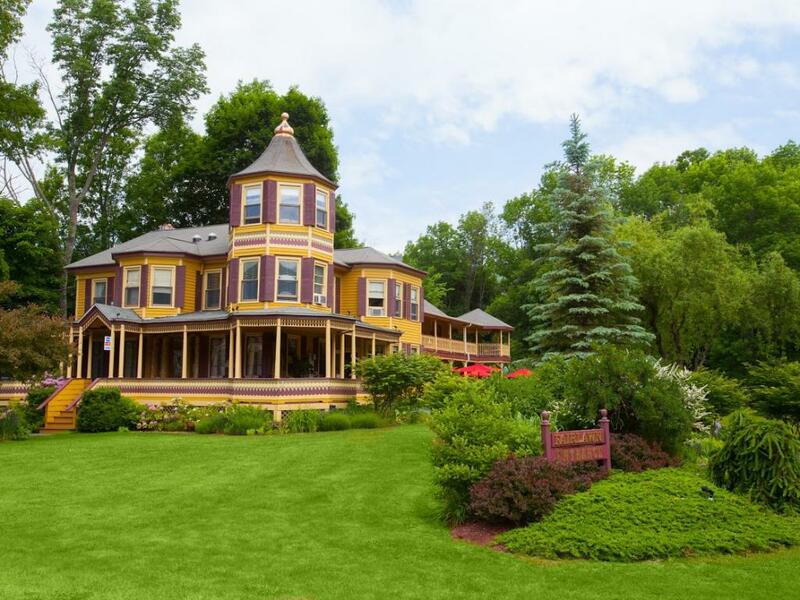 History, Outside sporting activities, Skiing, Sky ride and nestled in the center of the area immortalized by the Hudson River School of Painters. 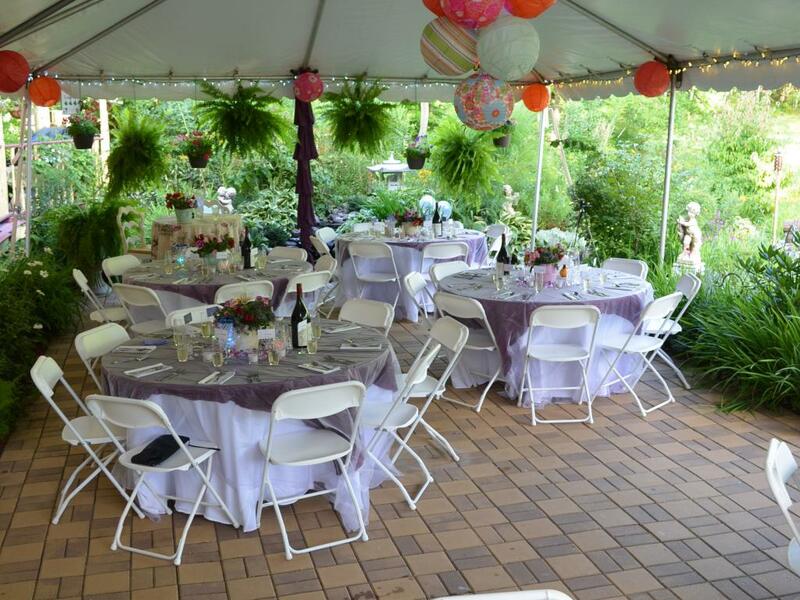 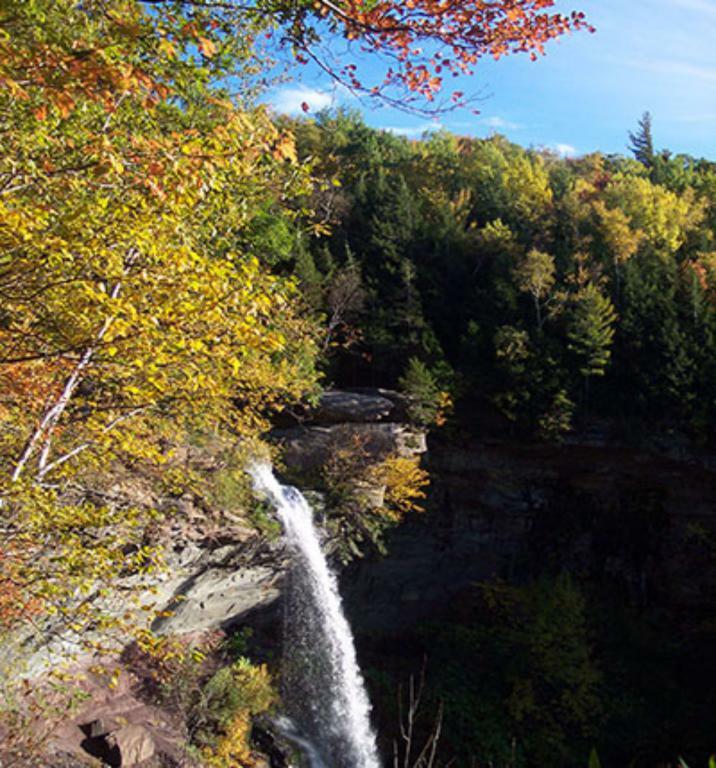 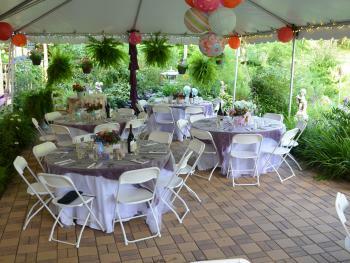 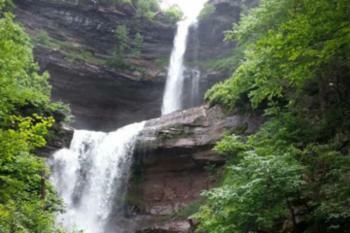 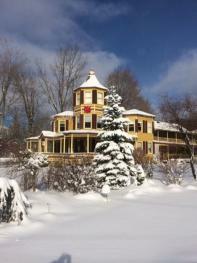 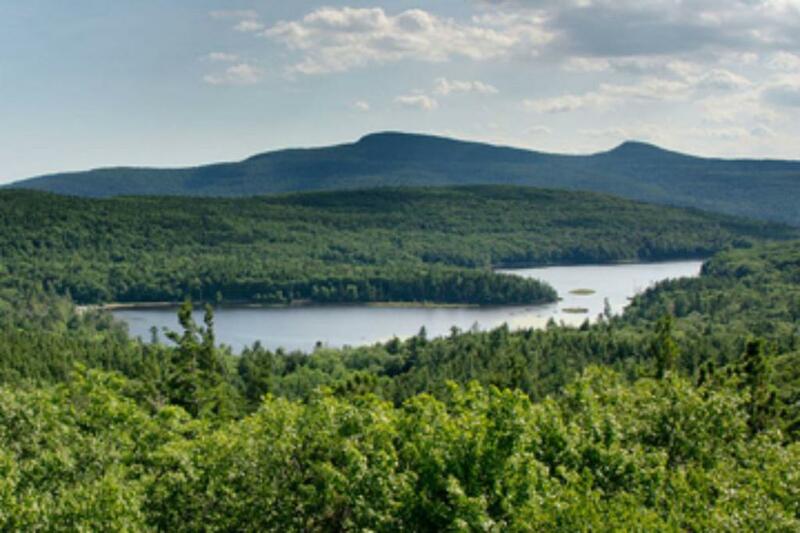 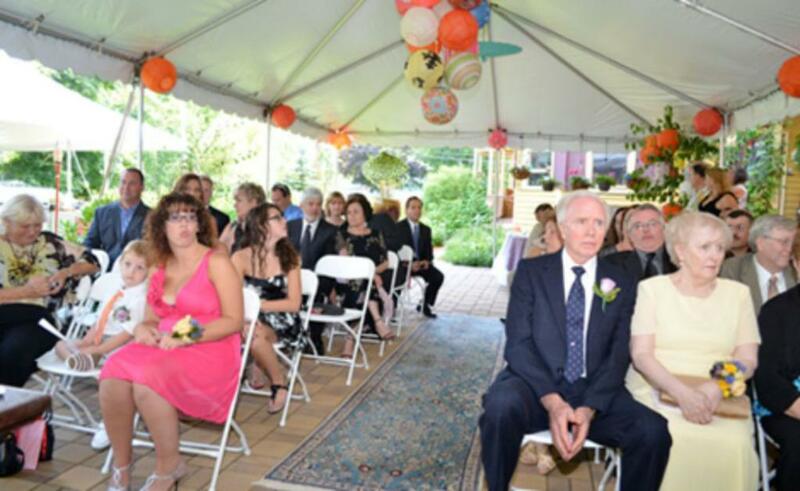 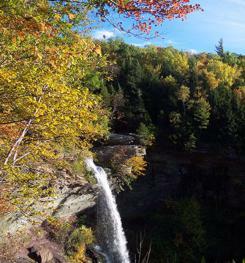 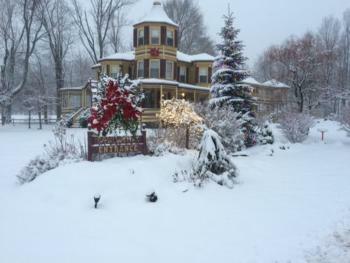 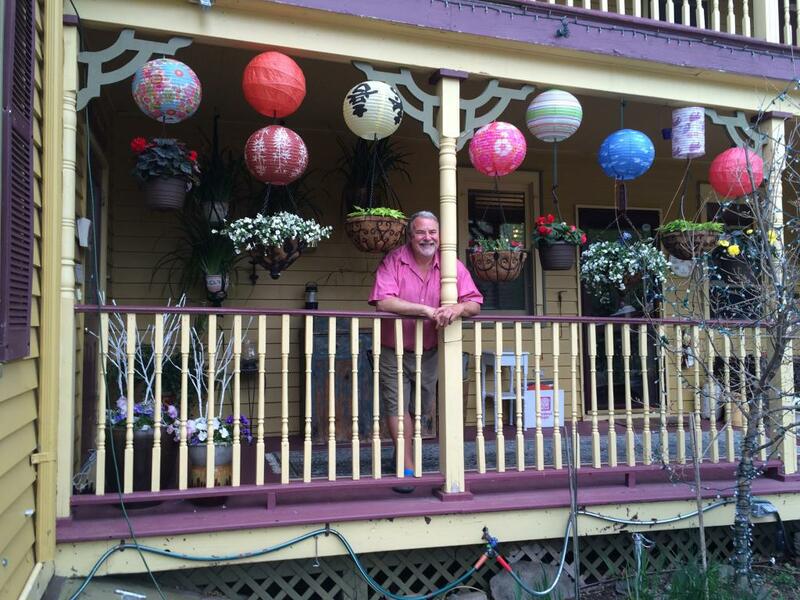 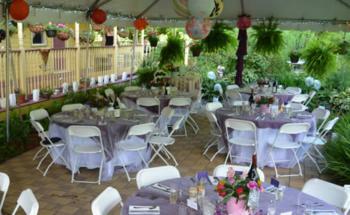 Our location in the Great Northern Catskills provides many activities in an hour an a half radius. 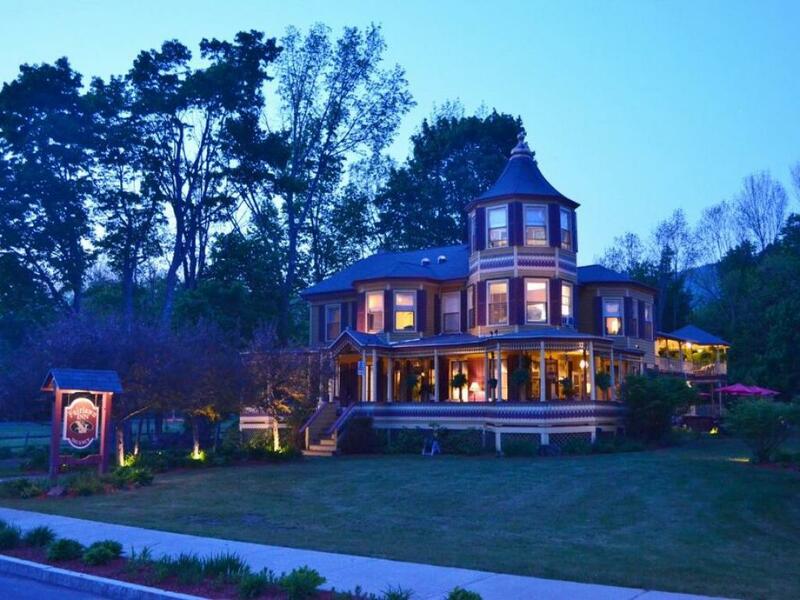 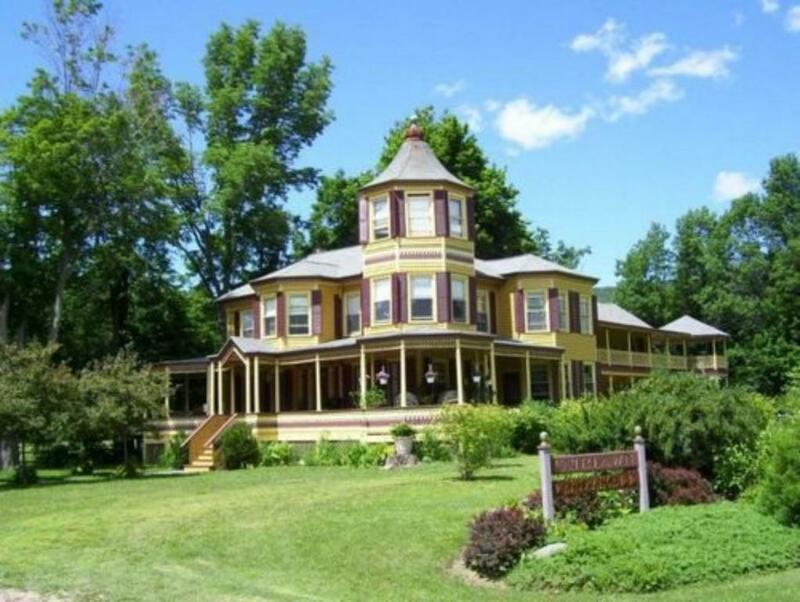 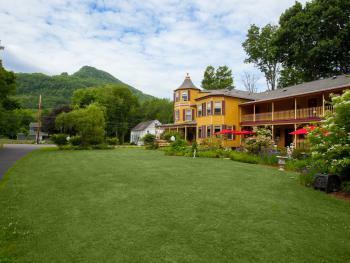 You can choose the mansions in Hyde Park, the Walkway over the Hudson, Cooperstown and Oneonta, Many Wineries and Breweries abound. Fine dining in award winning area restaurants. 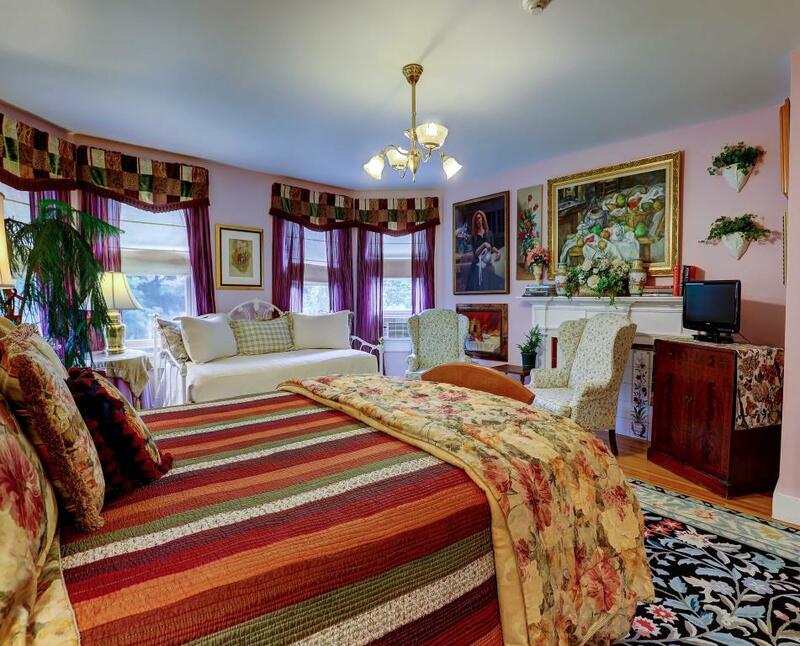 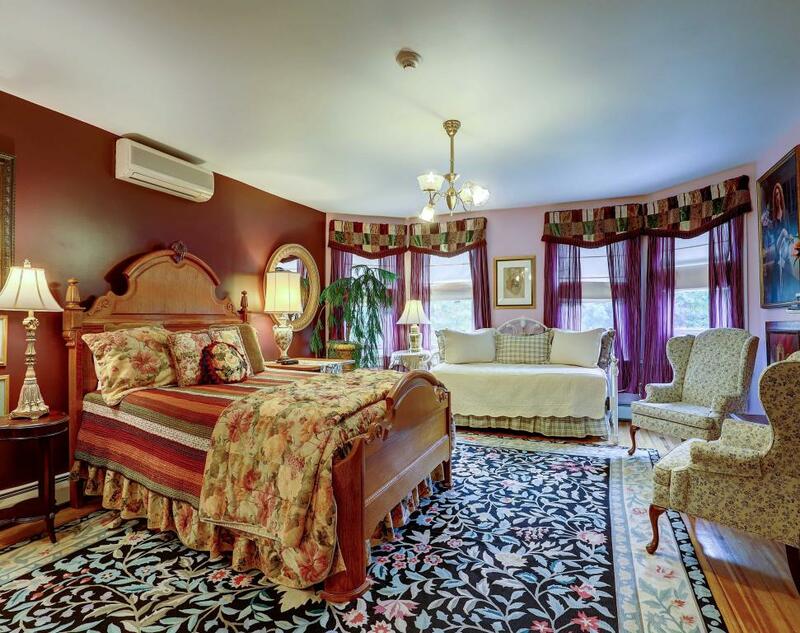 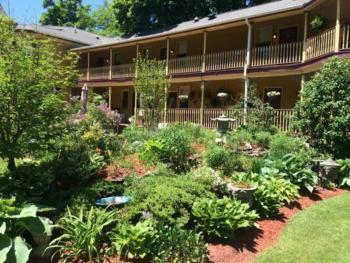 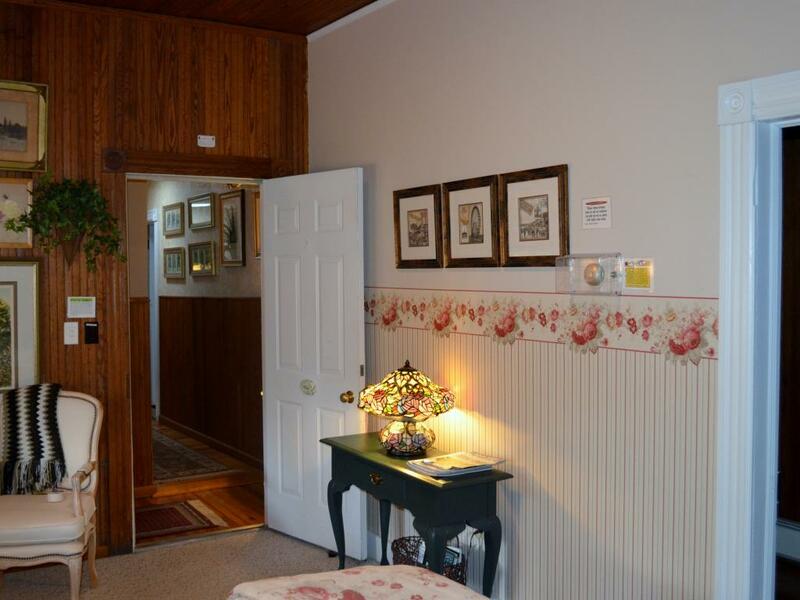 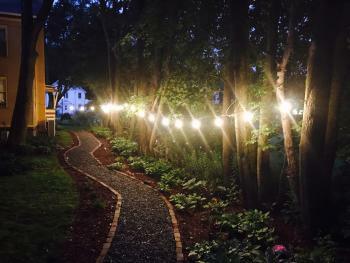 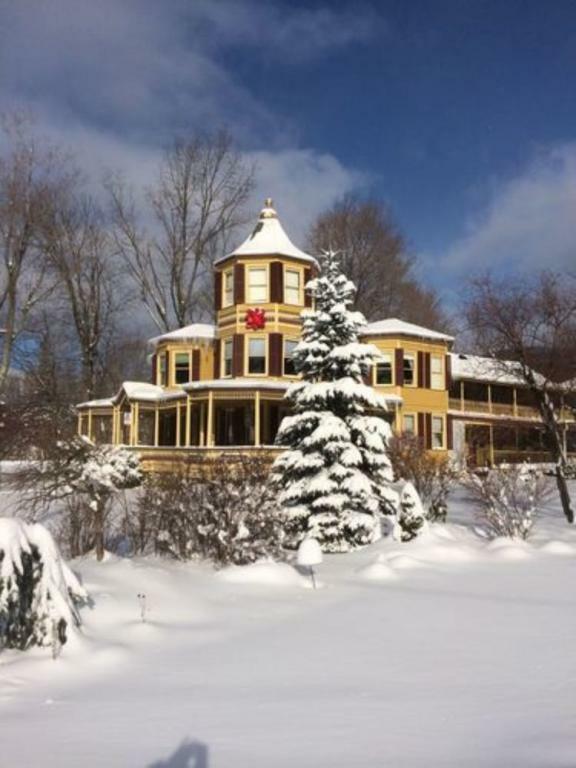 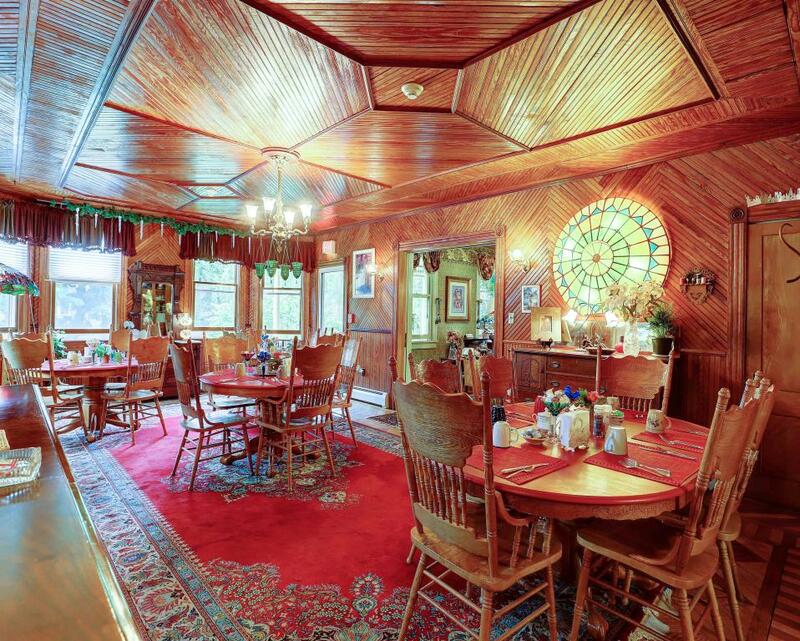 We are within walking distance to Hunter Mountain for festivals, theaters and dining nearby. 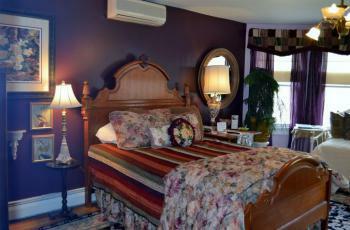 If you are sports oriented or just coming to relax we have many options for your time away. 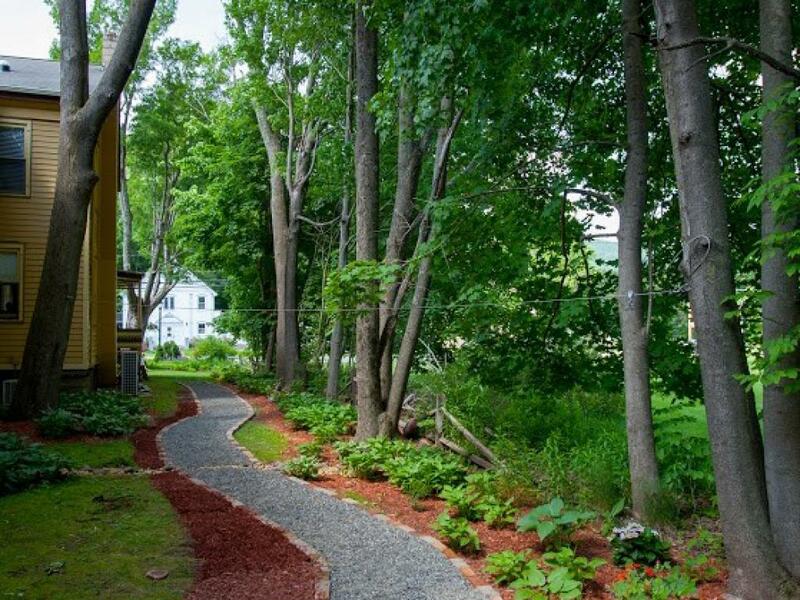 We do have a handicapped ramp at the rear of the property. The Spring Valley room is the most accessible but being an historic home wheelchair access to the shower and toilet is limited. 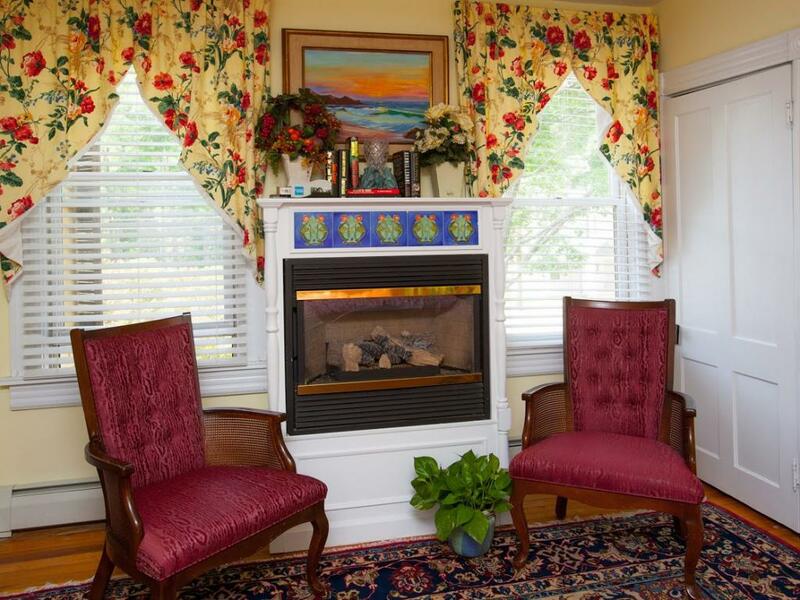 Please call and visit with the innkeeper if you have some special needs. 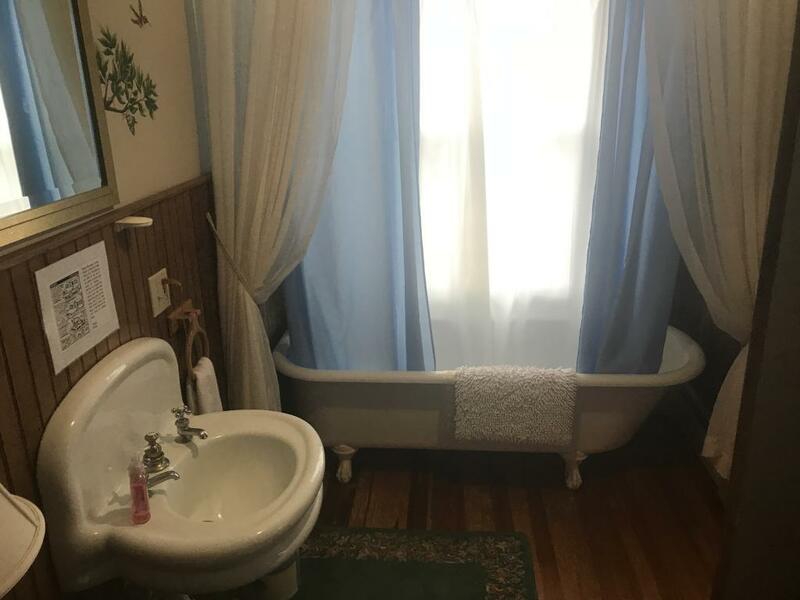 There is a four inch step into the shower in that room.